NetApp Company Information Is this your company? Add your own content to this page. We currently have 31 open jobs at NetApp. 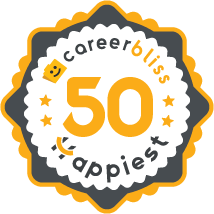 We've calculated that the average salary at NetApp is $100K based on 624 user-submitted salaries A total of 106 NetApp employees gave NetApp an average happiness rating of 3.9 out of 5.0. 41 Technical Support Engineers from NetApp submitted salaries. 4 Joined NetApp's when LSI Storage acquired by NetApp's. Good company to work for, but upper management at NetApp's headquarters seem direction on previous LSI products not focused. Lower management and individual contributors typically hard workers. Creativity and changes accepted, but verification or review stymied causing cut-in/quality issues at times. 2.3 Depending on the management team this company can be the best place to work. I met many cool people at this company and I could see from their work life balance it was a really good company. I can truly say, that the company's fall from the top place to work to where they are now is due to the hiring of poor management. I cannot recommend anyone to work at this place unless desperate. 4.1 I have worked for Convergys since January of 2009. During my tenure at Convergys I found there to be considerable mid-level advancement opportunities. While Convergys executes the ideal practices for a call center environment it tends to struggle with adapting to the nuances of a contact center environment. This tends to materialize in their hands-off approach above the Senior Director level of management. With the emergence of Internet technologies in the 1990s, many people had the prudence to develop start-up companies that would provide value for businesses and people wishing to take advantage of these advances. David Hitz, James Lau and Michael Malcolm were three of such innovators. Their basic premise was to create effective data storage solutions for the growing amount of data people were creating on their computers. With a demand for services before the dot com bubble of 2001, their company, NetApp quickly rose to prominence. While the burst of the following years saw a decline in revenue, the company was continued to gain traction in the corporate world. For the technically inclined, NetApp careers allow the opportunity to create breakthroughs in how businesses store their data. One of the major challenges is implementing a computer storage solution that is robust in nature while offering the performance speed that users demand from a network. Working at NetApp will allow someone to integrate their ideas into improving current methodologies used for data management and help facilitate improved services for the organization. Additional jobs exist in each functional area of the business that can fuel growth within a career. With the world adopting a more global approach toward the way businesses are operating, NetApp culture has implemented an attitude of diversity. Understanding the various needs of each culture and how people with varying backgrounds may require special insights toward health and happiness, the company strives to consider everyone’s interests. Our innovative ideas in maintaining a philosophy toward a healthy work environment has gained notice from Fortune magazine, which listed our company as the 5th best place to work. This community approach in day to day operations helps to improve our ability to provide innovative storage solutions. When devising the NetApp benefits packages, management kept their employee’s overall happiness in mind. The various benefits are meant to support and stimulate each individual to perform at their best level. A variety of health insurance options is geared toward lowering costs while improving overall quality of care. Savings programs allow people to plan for unanticipated and future events without huge sacrifice on their current living conditions. This allows people to enjoy their paid time off in an effort to re-energize their efforts toward improving the workplace. Additional support services provide free legal guidance, discounts for many local events and training for new job skills.